The Japanese architectural duo SANAA is best known for designing the new home of New York’s New Museum, a haphazard stack of blocks on the Bowery. Their newest building, which opens its doors next week, has every bit as much minimalist whimsy as the New Museum, but none of the right angles. 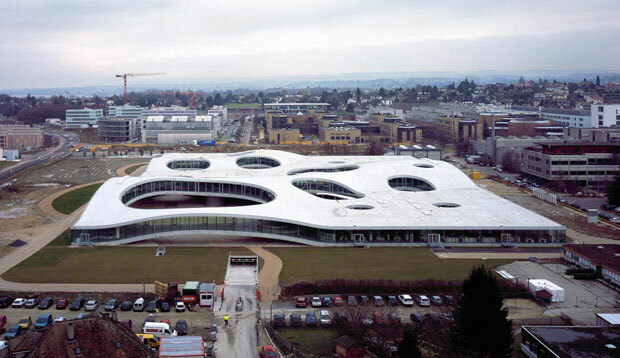 Instead, the Rolex Learning Center, a campus hub for the Swiss Federal Institute of Technology in Lausanne, Switzerland (where both the modern computer mouse and the world’s fastest boat were invented), is an undulating, biomorphic shape. From certain perspectives, it seems to hover above its 88,000-meter site a stone’s throw from Lake Geneva. 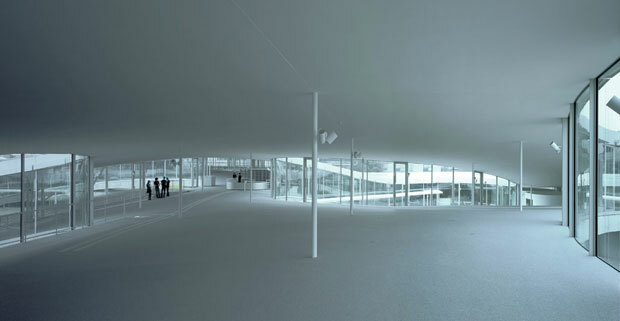 Besides all the ripples, the Rolex Learning Center is distinguished by 14 rounded voids that have been punched through the building’s volume. The holes, which make the structure a little bit like a bleached-out slice of Swiss cheese (can they even help this? ), improve energy efficiency by increasing exposure to natural light while also creating opportunities for still more chance encounters. 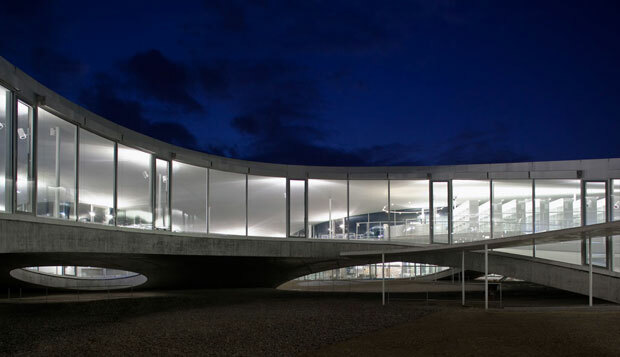 The students are the ones who will have to use the Rolex Learning Center, but to outside eyes, it’s an appealing architectural vision for learning in the 21st century: open, unbounded, and interdisciplinary.